I believe this is my 3rd stir fry post so far. And it won’t be my last. In case you forgot, I ❤ stir fries. Sometimes I use recipes, sometimes I just throw things together. This one was thrown together. This one included pork (not chicken – shocking, I know), green, red, and yellow bell peppers (my husband doesn’t like peppers – more for me! 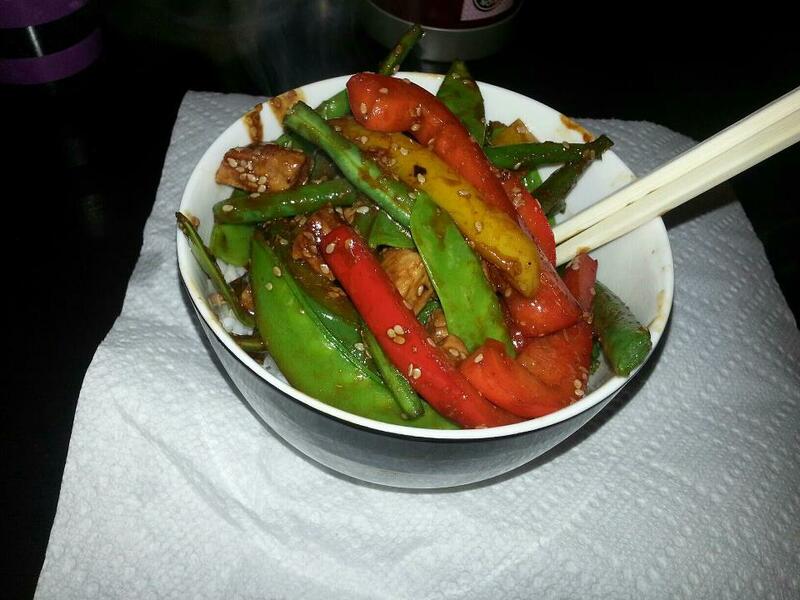 ), green beans, snow peas, and sesame seeds. With my trusty House of Tsang stir fry sauce, of course. Serve in a bowl over rice…using chopsticks, of course!